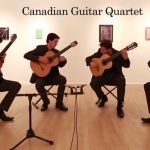 The Canadian Guitar Quartet plays the third movement of Radamés Gnattali’s Quatro Movimentos Dançantes. Gallery: Laroche/Joncas, Belgo center, Montreal. 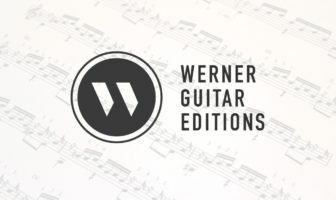 The quartet has had many members over the years but is currently made up of Julien Bisaillon, Renaud Côté-Giguère, Bruno Roussel, and Louis Trépanier. You can check out some of their albums via Amazon. Nice to see the young guys carry on this ensemble’s tradition! They create a great feeling as a group.